Two years ago my family and I were returning from a four-month cross-country trip, and we were glad to be home. It had been a wonderful, beautiful, frustrating, terrifying, exhausting, unbelievable, magical, stressful, incredible four months. Without a doubt, the highlight of the trip (if by highlight you mean moment that will never be forgotten) was when we started down the Teton Pass and lost our brakes. 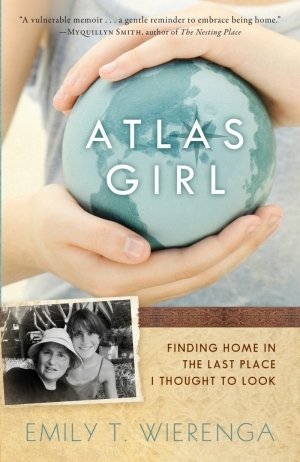 Today I’m retelling that story over at my friend Emily Wierenga’s blog as we celebrate the forthcoming release of her travel memoir, Atlas Girl. If you’ve never read the story of our brakes going out, or if you’d like to revisit it with me, please head over to Emily’s place and go down the mountain with us. And be sure to take a look at her new book as well. By the way, thanks for continuing to check out my sporadic writing here at the blog. With our move into the city, and a crazy amount of writing work, and a baby on the way, it’s been hard to find blogging time. But I’m still here, and I’m glad you are, too. If you’d like to get some mini-posts from me, you can always follow my writer’s page on Facebook, where I occasionally post some shorter pieces. May the road go ever on before you, and may your brakes never go out! I love Emily and am so glad I found your blog as well! Looking forward to reading more from you.